Infografía para orientar a la red de alianzas nacionales y regionales contra las ENT sobre las prioridades de nuestra campaña global durante la 70ma. 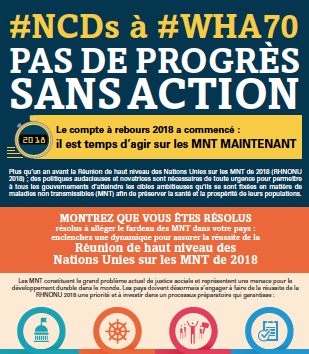 Asamblea General de la Organización Mundial de la Salud. 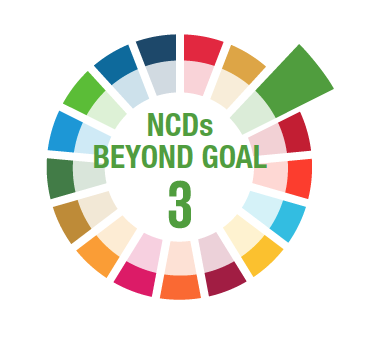 This infographic focuses on the interlinkages between NCDs and the different Sustainable Development Goals. 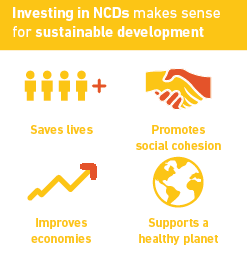 It provides advocates with a concise and eye-catching resource to be used in your advocacy and communication efforts. 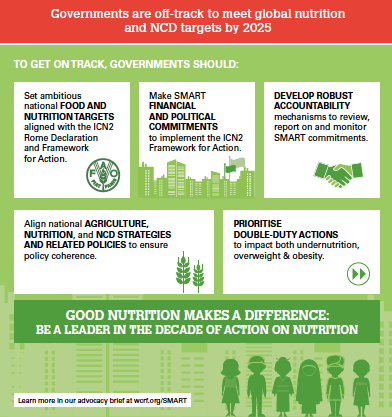 This infographic summarises key messages & recommendations of our policy brief: Ambitious SMART commitments to address NCDs, overweight and obesity. The 2-pager infographic provides advocates in our network with a concise and eye-catching resource to be used in their communication efforts. It is available for download as a navigable PDF.